Venice, Who doesn’t love Venice? 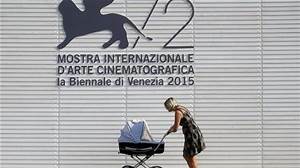 Venice Film Festival – Come see the films that have won (September 2-9, 2015). Venice Carnival (Festival of Masks) – Is held the day before Ash Wednesday. Venice is always a great city to visit but during a festival it is even more fun. This city is spectacular from its start. It was built on tree trunks, millions of them. They hold up a marble & stone foundation that all the buildings are built on. Put it on your bucket List. This is one of the most romantic cities in the world. Just let it do its magic on you.